What Successful Entrepreneurs Outsource to a Virtual Assistant - B.A.C.I. Enterprises, Inc. 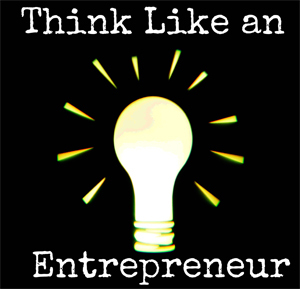 Note: This article is compliments of Entrepreneur Magazine. Are you doing laborious, repeated tasks that anyone could do? Do you struggle to meet project deadlines because you are overworked? Do you believe there isn’t a trustworthy virtual assistant who can handle your long to-do list? Think again. All successful entrepreneurs have a virtual assistant (or even a team of VAs) in their corner helping them with various projects or handling administrative tasks. So why hire a VA? If your goal is to build a successful business, you will have to hire people. A virtual assistant is a great first employee for your business. Hiring a VA will give you a chance to see the real challenges of task delegation and a glimpse into managing people. Many times, the first experience with a virtual assistant is negative because there is a learning curve that you (and the VA) will need to conquer. Task delegation, including proper training/instruction and playing to your VA’s strengths, is the key to a successful relationship between you and your new hire. It will take time and straight-forward communication to ensure that you’re explaining the tasks and expectations in the detail to which your VA needs. Once you have mastered this skill, you’ll be moving your business forward faster than you ever thought possible. Lydia Lee, founder of Screw The Cubicle, helps talented professionals repurpose their skills to start a meaningful business and guides them to create location independent careers. She uses VAs to do the repeatable tasks. Repeatable tasks are those items on your to-do list that keep popping up week after week. These tasks follow the same process each time, which means that a little training can empower a VA to successfully complete these tasks and make more time for growing the business. Lee trains her VAs on repeatable and templated tasks using screenshare recordings. She believes that by properly onboarding her VA, she saves everyone time in the future. Tom Hunt, a TEDx speaker and internet entrepreneur, has had a VA for the past four years to do the “lower level, routine tasks.” He believes that he should use his time and attention to build value for others and he trusts his VAs to handle the other tasks. Tasks in this category include blog posting, creating presentations for webinars, creating workbooks and materials, creating social media images, pitching articles, finding PR opportunities and designing sales pages. Matt Bodnar, called a “Rising Restaurateur Star” by the National Restaurant Association and a “Strategy Pro” by Restaurant Hospitality magazine, is a partner at early stage investment firm Fresh Hospitality, where he focuses on deal making and strategy. Bodnar is also the creator and host of The Science of Success, a podcast with more than a million downloads. He uses VAs to create podcast pages, post the audio and schedule interviews. When should you hire a virtual assistant? You cannot build a business alone. Online business contains many layers and functions — email marketing, social media marketing (which itself has so many channels), content creation, etc. Even if you stop sleeping, there are not enough hours in a day and night for you to do everything that is required for your business to grow. By trying to do everything, you will not prove anything to anybody. You won’t get rewarded, just end up failing. You should hire a VA when you are overwhelmed by your workload but still want to move forward. If you try to do everything, you’ll soon find that you are disappointed in your lack of growth or on a direct road to burnout. ← Virtual Assistance vs. Onsite Assistance: What’s the difference?